The curving, oblong shape of a marquise cut diamond is flattering and distinctive. This regal shape, which originated in the court of King Louis XIV of France and is also referred to as the navette, or “little boat,” has stood the test of time. We’ve created a collection to provide the ideal showcase for this unique and storied shape. And, the perfect stone to make to most of the marquise cut is our signature DiamondAura®. DiamondAura stones give you the luxury look and feel of large-carat diamonds for a fraction of the price. Our lab-created DiamondAura jewelry features all of the classic jeweler specifications, including color, clarity, cut and carat weight and is hard enough to cut glass. 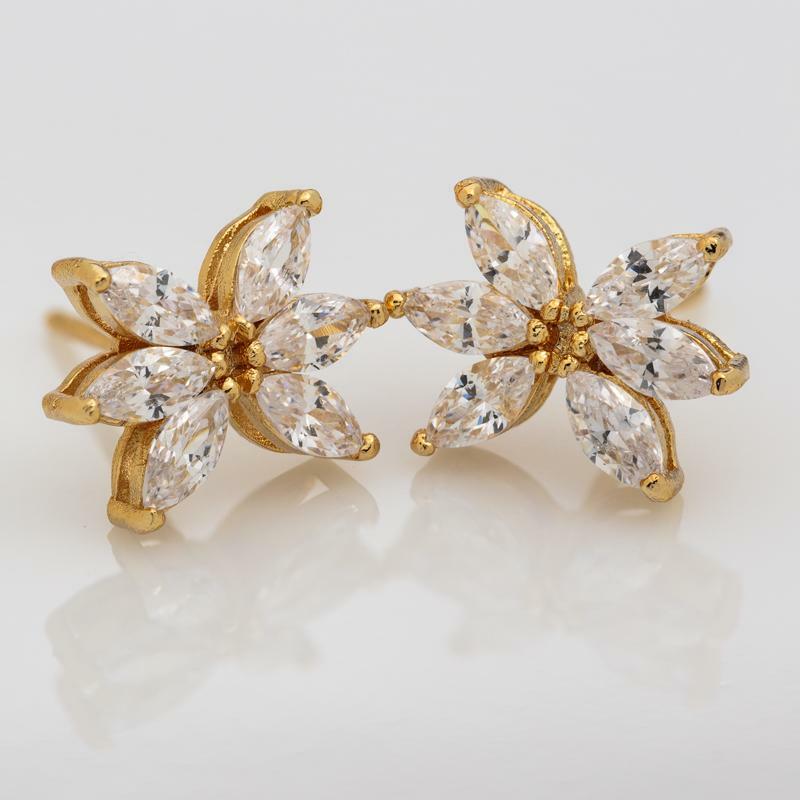 For the perfect finish, we’ve set these sparkling stones in lustrous 14K gold settings. There’s no need to be of nobility to own this regal look. For less than $100 you can take home the entire Marquise Collection. When it comes to affordable elegance, this collection definitely makes the cut.